This winter, we’ve leapt into “domaining.” Domaining is the hobby or business of participating in the domain name aftermarket. 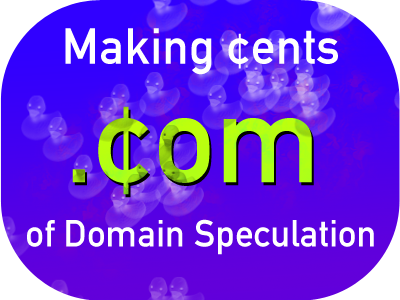 Last week our first domain name auction on Flippa.com closed. Anne decided this winter to thin out her domain coffers, and the first auction to go live was a lot of two related domains: AndroidDebugging.com ($60, Estibot) and AndroidDebugger.com ($55, Estibot).